It’s that time of year again of colds, flu, and runny noses. Let’s face it you can find the softest tissue with aloe and lotion, but you still end up with a rough dry little nose… Two moms Julie Pickens and Mindee Doney knew exactly what they were doing when they developed Boogie Wipes in 2007. 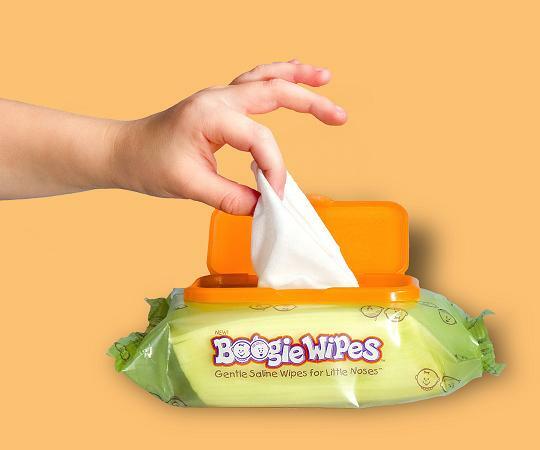 Boogie Wipes has found a way to keep your little one’s nose clean, moisturizes, and boogie free with durable saline wipes available in unscented, fresh, grape and menthol. I have always stuck to the unscented wipes in the past,because I was nervous the scented wipes would irritate my sons nose. However, I was wrong. The scented wipes are just as moisturizing and the menthol is perfect to help with congestion. He loved the grape scented wipes! In fact he likes them so much he kept coming up to me pointing to his little nose and sniffing. He LOVES boogies wipes. No more rough, red, dry noses here. Just Eskimo kissable noses! Boogie Wipes are a must have not only for cold and flu season, but year round! 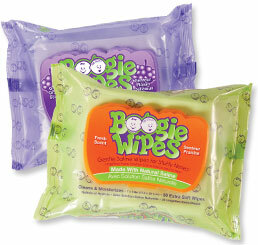 You can find Boogie Wipes at most pharmacy retailer and online. 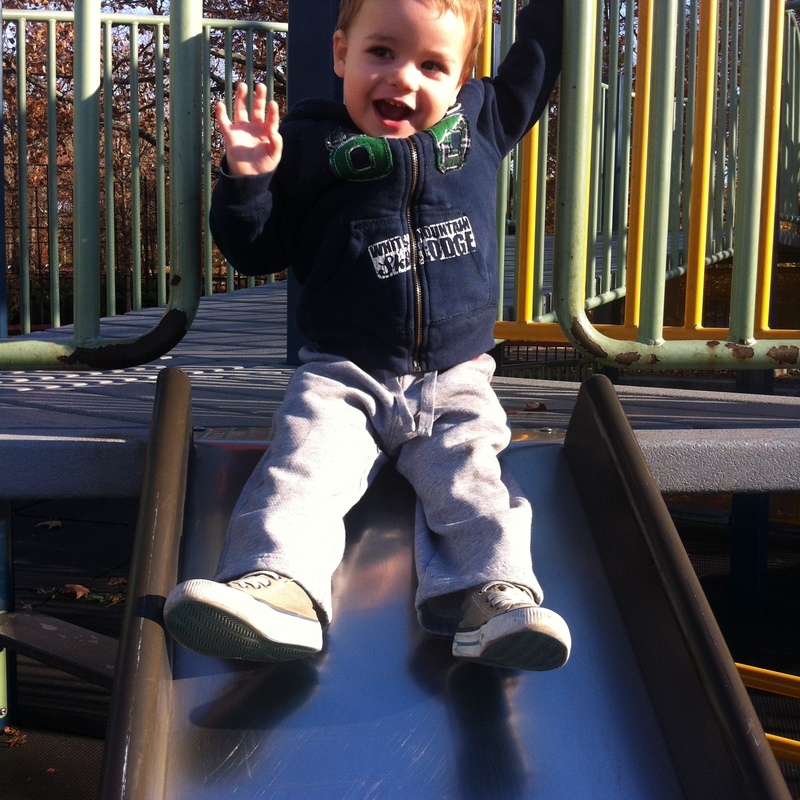 For more details on The Great Winter Baby & Toddler Gear Giveaway check it out here. Thinking of Hanukkah or stocking stuffers for the kids? 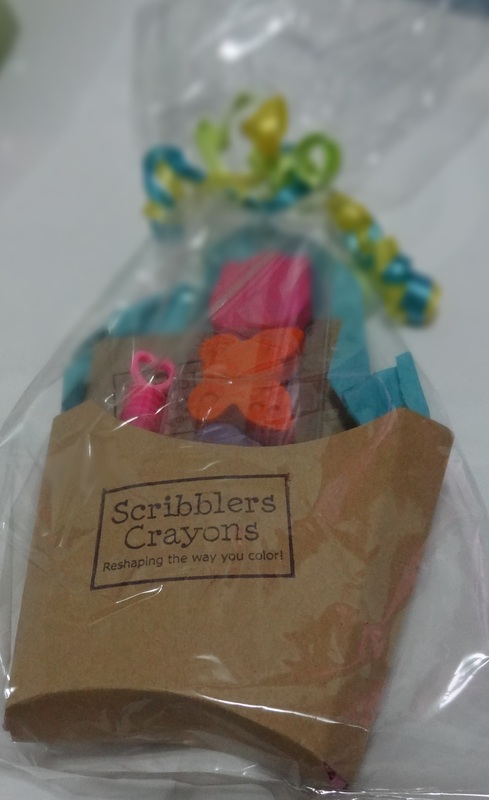 Look at these adorable reshaped Crayons® from Scribblers Crayons®! Randi a stay at home mom of two and former Art Director for Fortune magazine decided to get a little creative one day with her children’s broken Crayons®. It all started when she was showing her son how they could make all kinds of fun shapes using his Crayola Crayon Maker and recycled Crayons®. That is how her creatively fun home business became Scribblers Crayons®! Scribblers Crayons® offers so many fun shapes for any occasion- Birthday favors, Valentines gifts, Easter, Halloween, Christmas, Hanukkah, and everyday fun! 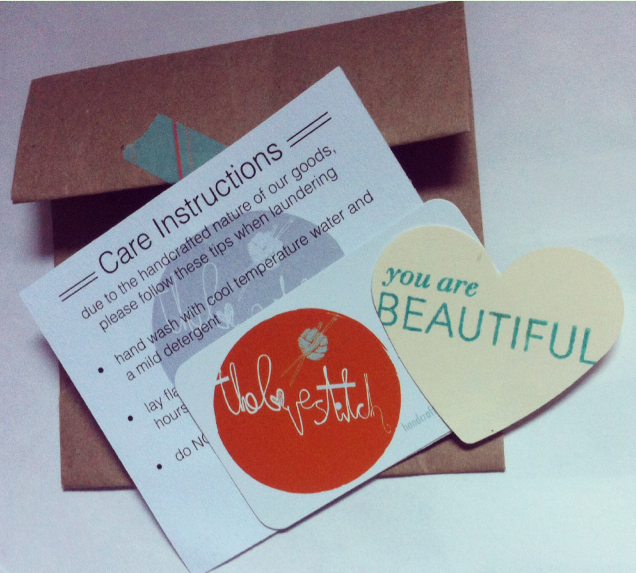 And Anything that has a tag/bag can be personalized for FREE. That’s one less thing to worry about moms! Randi is great to work with, and you can mix and match sets. 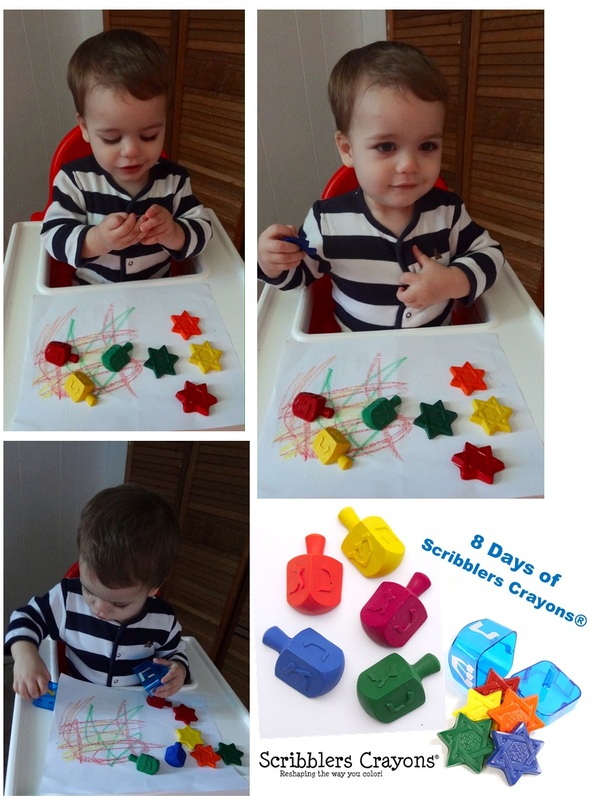 I love Scribblers Crayons® not only for the fun shapes they come in, but because they are thick and do not break easily like regular Crayons®. My little one loves to color, however, he does not quite understand how strong he really is… and the colors break. With Scribblers they fit perfectly in his little hands and he can color away. All wrapped up ready to gift! You can also enter on my facebook page. Open to u.s only. Ends midnight Dec. 5th EST. When I was pregnant with my son I remember searching for the perfect “going home” outfit. I wanted the softest material, yet functional. This is when I discovered and fell in love with the Kissy Kissy brand. Kissy Kissy is an American brand who uses only the softest Peruvian Pima cotton. Their pieces are timeless classics that can be passed through your family for years. The quality of their products are impeccable. 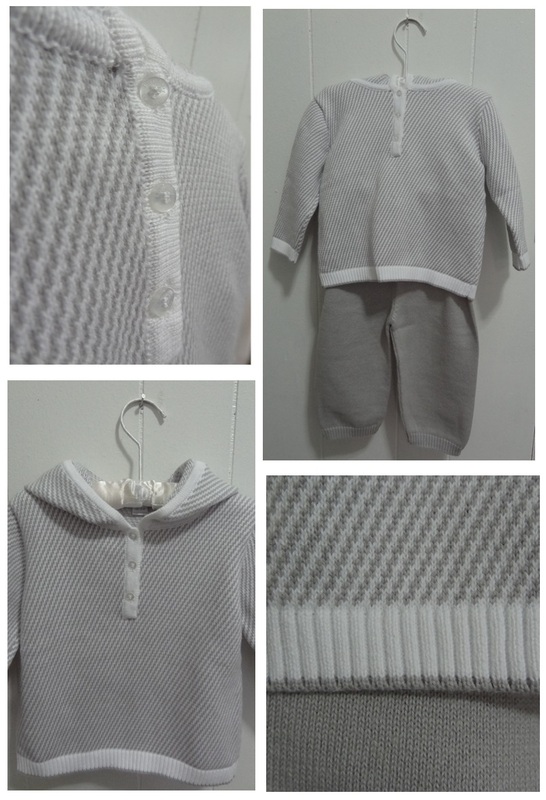 This Herringbone knit hooded cardigan and pant set is absolutely adorable! From experience of owning multiple Kissy Kissy products I can assure you they are the BEST! 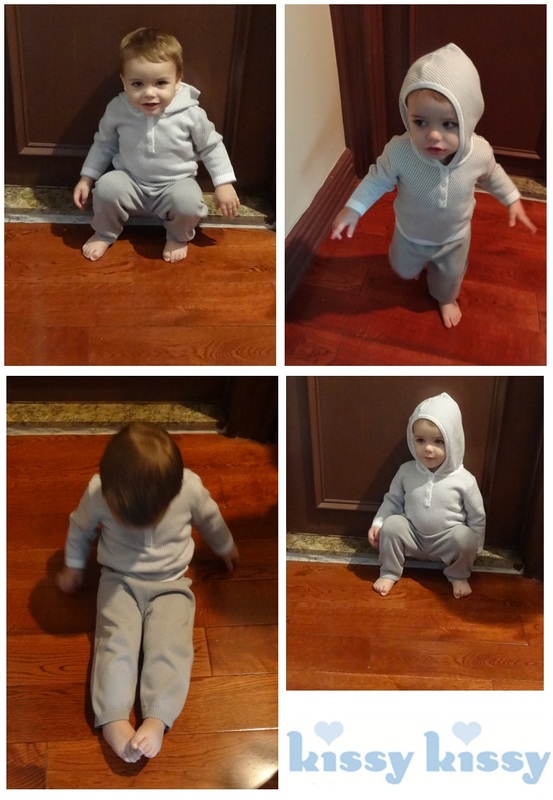 Kissy Kissy truly holds to its standards of soft, durable, and highly resistant to pilling clothing. If you are looking for an exceptional brand for your child or gift- Kissy Kissy is what you want. Offering sizes from 0-4t, accessories, and more. To find a retailer in your area you can find it here. He was so excited about his new clothes he couldn’t keep still! Kissy Kissy has teamed up with myself and my co-host in “The Great Winter Baby & Toddler Gear Giveaway” along with 9 other companies valued at over $300! Win (1) Kissy Kissy Romper or Pant Set based upon the winner’s child’s size and gender. The winner will have a choice between sizes: 0-24 months. Valued at over $50! I’m so excited to share with you these deliciously adorable slippers from jdbaby. Now that the cooler weather has rolled in, and it’s only going to get colder my search began for kid friendly “fun” slippers to keep those sweet little toesies warm. Little one is always yanking off socks, so I knew if I wanted to keep anything on his feet, he had to LOVE them. I came across jdbaby’s etsy shop and fell in love with her whimsical designs. I knew they would be perfect! What I loved most about jdbaby was they are handmade fleece slippers in a variety of unique designs from foxes, dragons, monkeys, duck feet to “red fish, blue fish”. Available in sizes for everyone babies to adults. Come on y’all how stinkin’ cute are these slippers?! 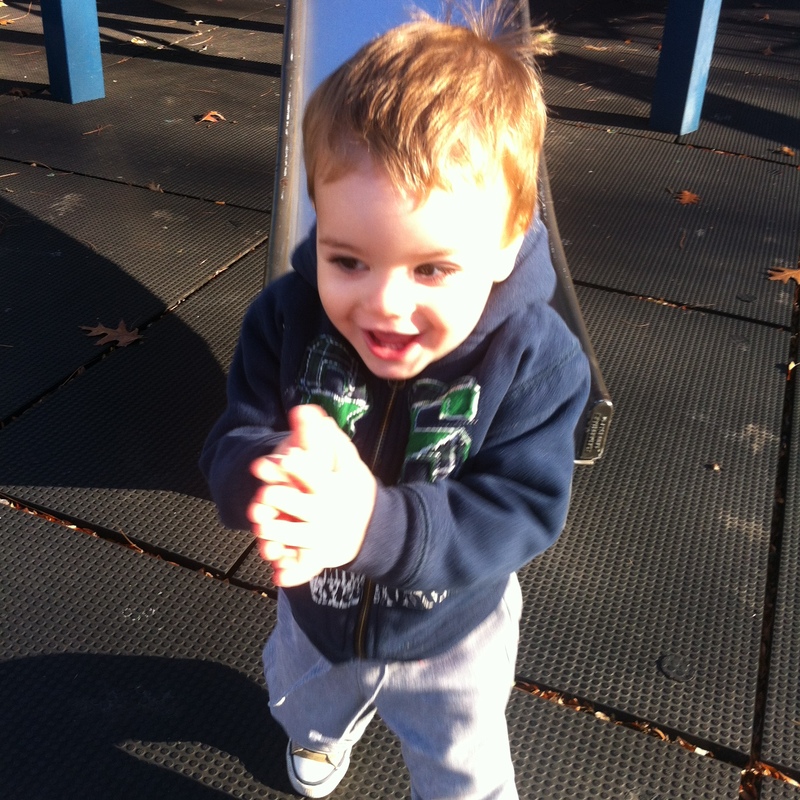 I was stoked when Joan the owner of jdbaby sent a pair of fox slippers for little man. Anytime I get a package he is always diving in to see what he will find. As soon as he saw the fox slippers he squealed with excitement, immediately wanting to wear them. He was so excited when I put them on his little feet that he started running back and forth across the apartment (thank goodness for the slip proof soles). I literally had to bribe him with candy to sit still so I could snap a photo of him. I guess we can say he likes them. Haha. Want to know the best part?! You can win a pair of slippers in the design and size of your choice! 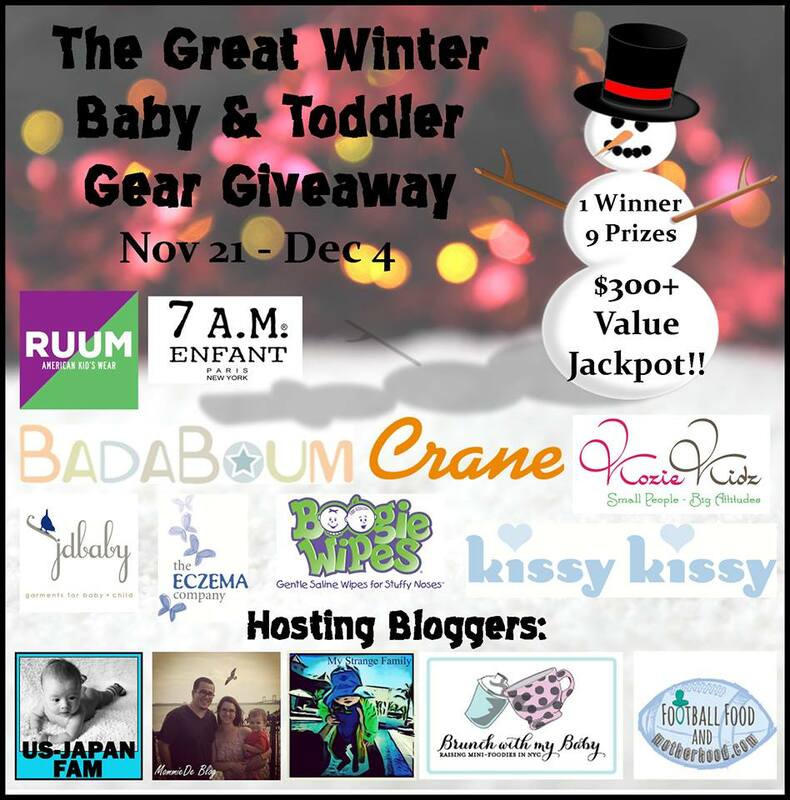 Jdbaby has team up with myself and co-host in “The Great Winter Baby & Toddler Gear Giveaway” along with 9 other companies valued at over $300! Win (1) Pair of jdbaby slippers in the design of your choice! Click on over to jdbaby to see more design. Tell her MommieDe sent you. Ok, moms this is for y’all! 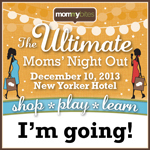 I have two tickets to “The Ultimate Moms Night Out” to GIVEAWAY! It will be held at The New Yorker Hotel on Tuesday, December 10 at 6:00 PM. The night will include an evening of comedy with Lisa Blythe Perlman & Carolyn Castiglia, shopping, socializing with adults for a change! ha! Oh and did I say wine?! Yes, moms WINE and food (they will also have mocktails). Chances for you to win incredible prizes, and take home fabulous goody bags! Two lucky ladies will each win (1) ticket! Giveaway ends midnight Nov. 24th EST. MommieDe is not responsible for any travel expenses, damages or claims arising from your attendance. If you don’t win you can still join us by purchasing your ticket here. And don’t forget to use the promo code “specialguest” to save $10! Please note this event sold out last year so jump on it ladies. Jennifer C.& Nicole your are the winners! Congrats! You have been contacted regarding your tickets. Thanks again! When I started on my Holiday gift guide I wanted to have a little something for everyone on your list. I began to search for products which I found unique and products that I LOVE! I found theLOVEstitch “Made from the heart and hands”. Julia was a absolute pleasure to work with. She is extremely thorough when completing your order, making sure you are getting exactly what you want. When I was notified that my order was completed and shipped out, I could not wait! Six days later my package was received. (not going to lie I was pretty stoked) I am a sucker for personal touches… and her hand written note was such a sweet treat. 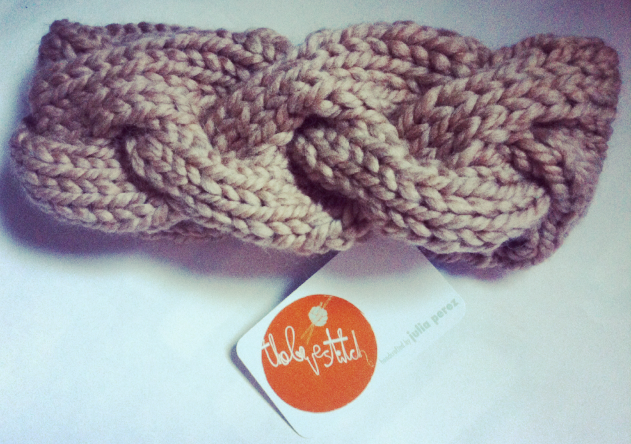 With the chilly weather we have been having her in NYC, I could not wait to put this baby on! 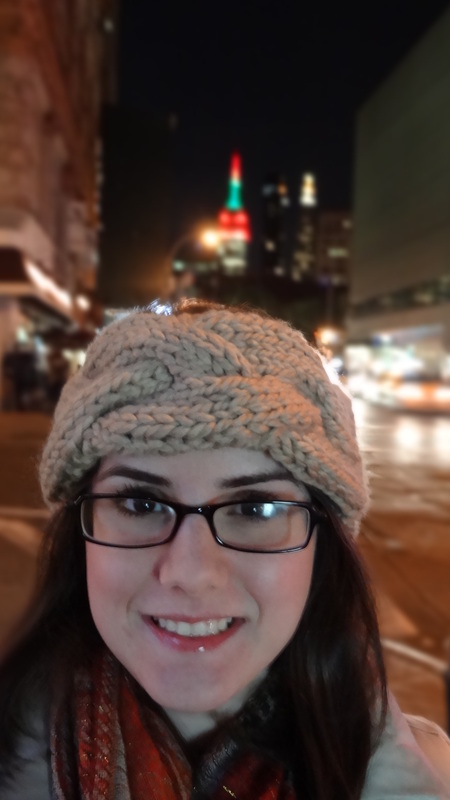 The family and I had a lovely evening in the city, and let me tell you it was COLD. Being from the south this momma is a fan of cold! 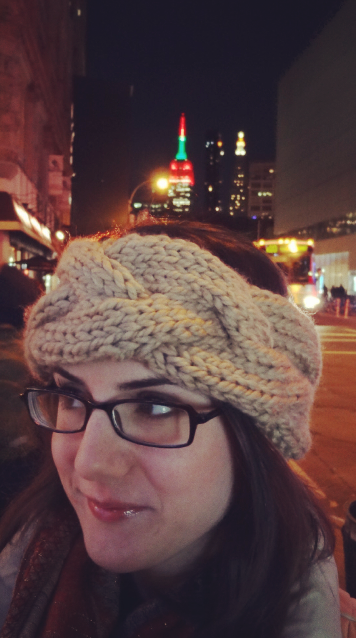 However, I can assure you that the “Naomi” kept my ears and head warm all while looking stylish. I have always had a bit of trouble when it comes to headbands fitting right and slipping, yet the Naomi fits perfectly! I was able to wear it all night, all while chasing around a toddler, and I did not have to readjust once. This is my FAVORITE hair accessory for the season! 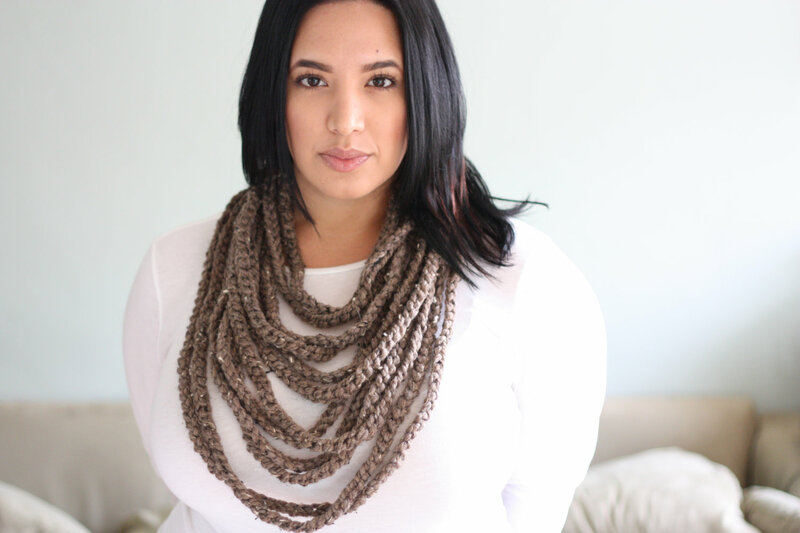 If you plan on ordering from theLOVEstitch please be sure to add it to your “TO DO LIST”. The holidays are approaching, and will be here before you know. I do not want you to miss out… so take note of the Holiday order cut off dates “international orders end Dec. 2nd and domestic orders end Dec. 15th”. Skip over to theLOVEstitch you are sure to find something that suits you. Be sure to tell her MommieDe sent you! Want to win it? Well… enter below!!! You can knock one gift off your list or keep it for yourself. I won’t tell! 😉 Good luck! 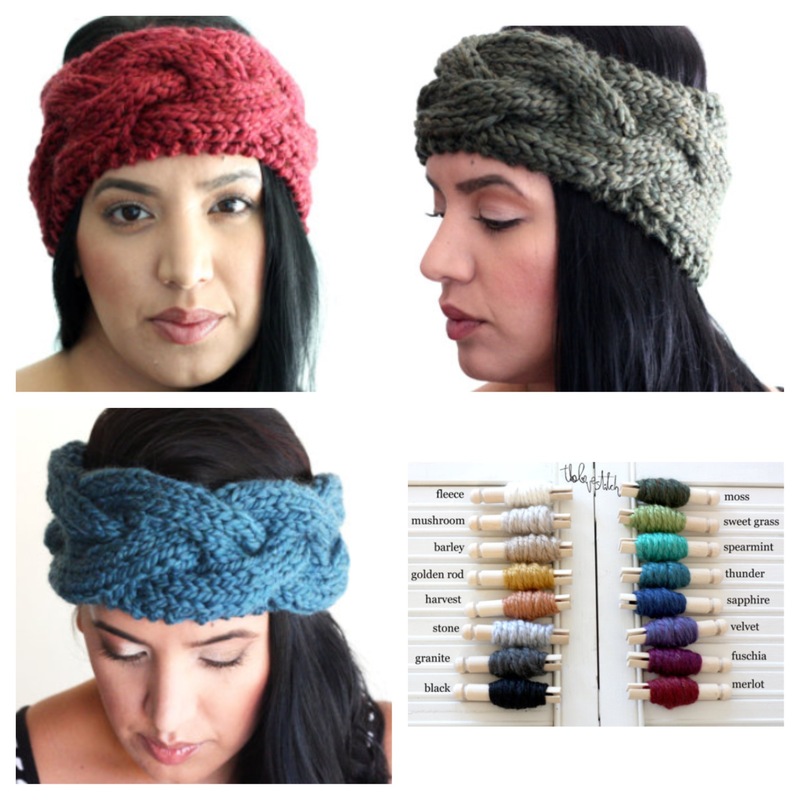 Leave a blog comment below- Which color do you want in the Naomi cable knit headband/ earwarmer? Like MommieNYC on Facebook and leave a separate comment below that you did. Like theLOVEstitch on Facebook and leave a separate comment below that you did. Angela your are the winner! Congrats! You have been contacted. Thanks again! Use coupon code "specialguest" for $10 off! 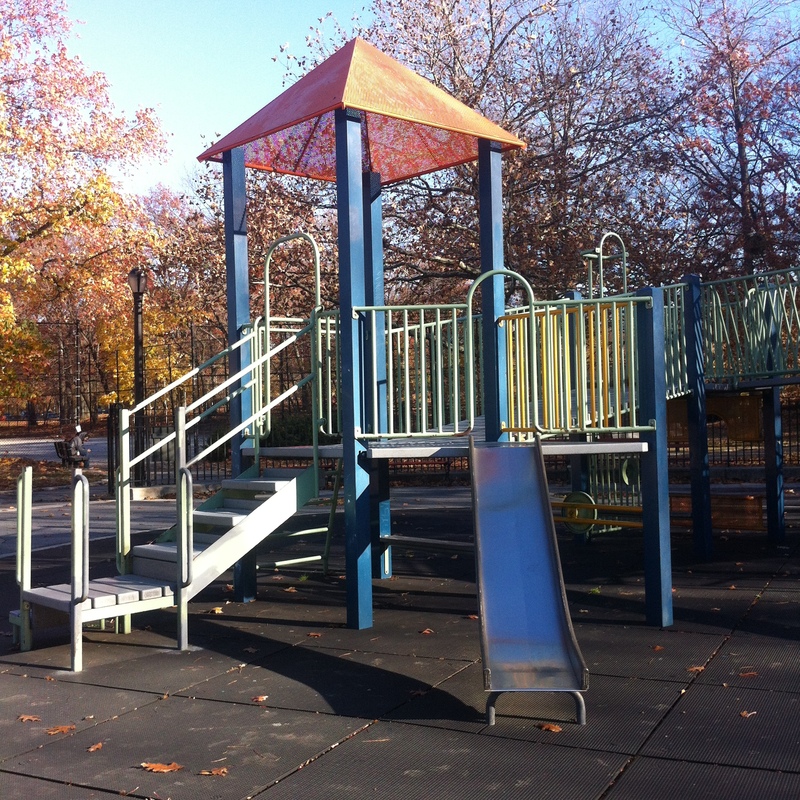 Heather Tomoyasu (@M… on Boogies be gone!